Yay! The weekend is here again! Hope it's a good one for you and the weather is hot, you know like it's meant to be in August! Anyway,does anyone else ever have periods where they completely want to reinvent their style and have a completely different wardrobe? This happens to me quite a lot, as I’ve said in previous posts I change my style a lot. 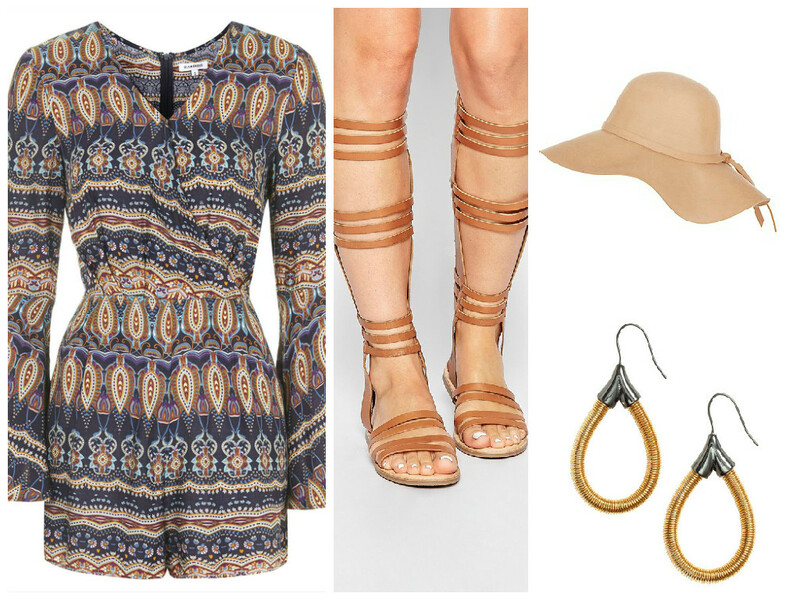 So lately I’ve been obsessing over 70s fashion: I adore the floral prints, jumpsuits and floppy hats. It’s actually a time I’ve always loved, the music rocked, people were famous because of their talent (unlike today) and obviously the fashion was gorgeous (although some of it was questionable but you get that with any decade). But for some reason I’ve been trolling through photo after photo of women's fashion from the 70s more frequently. 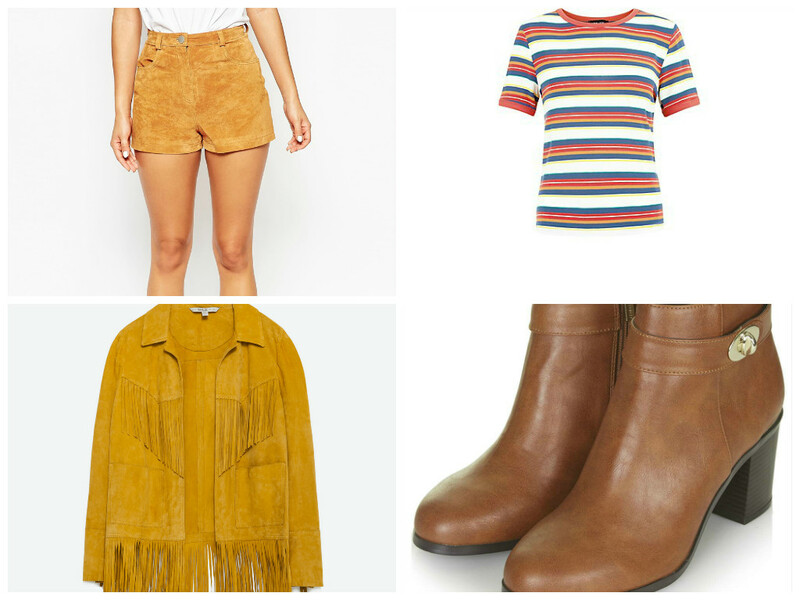 So I thought I would share four 70s style inspired outfits with you, my lovely readers. 1. This playsuit screams 70s, especially the long bell sleeves, you can take this look into the autumn and winter by adding a pair of tights and chunky boots and throwing on a faux fur gilet. 2. Jumpsuits with flared bottoms were huge in the 70s, these platform shoes will add height if you feel swamped in jumpsuits. 3. 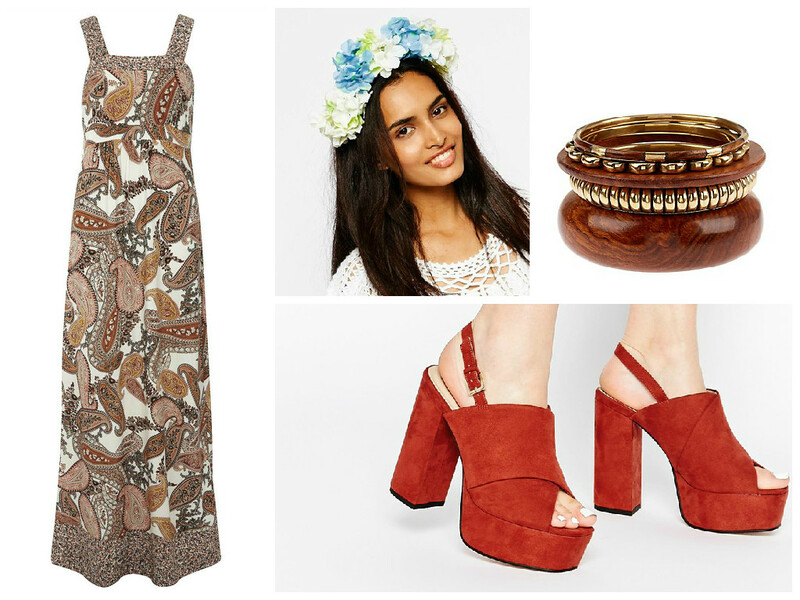 This is definitely an outfit I can imagine someone wearing at Woodstock. Throw a fringed jacket over the top is you get cold, you’ll still be rocking the 70s but be warmer! 4. Whenever I’m looking at 70s fashion I always come across a gorgeous woman wearing hotpants and a striped jumper/top and I absolutely love the look! 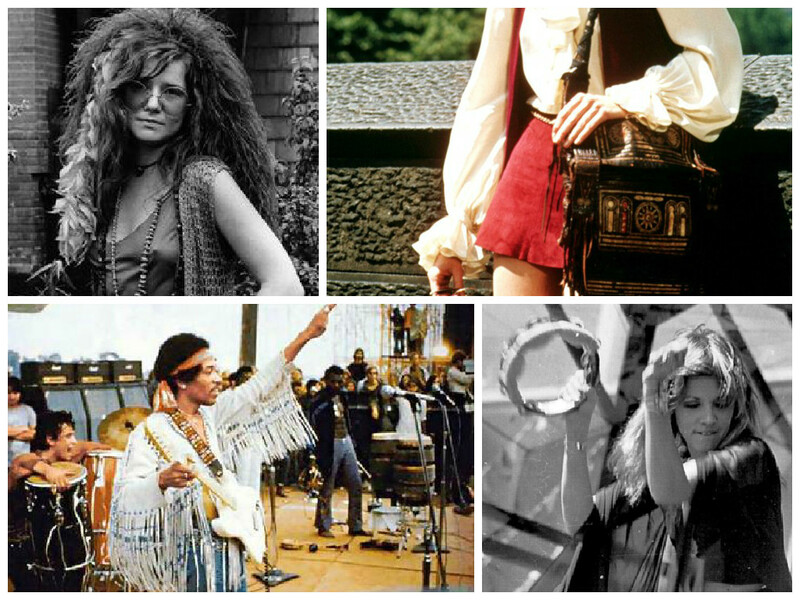 If you want more 70s inspiration look at icons like Janis Joplin, Stevie Nicks, David Bowie, Kate Bush and so many others. 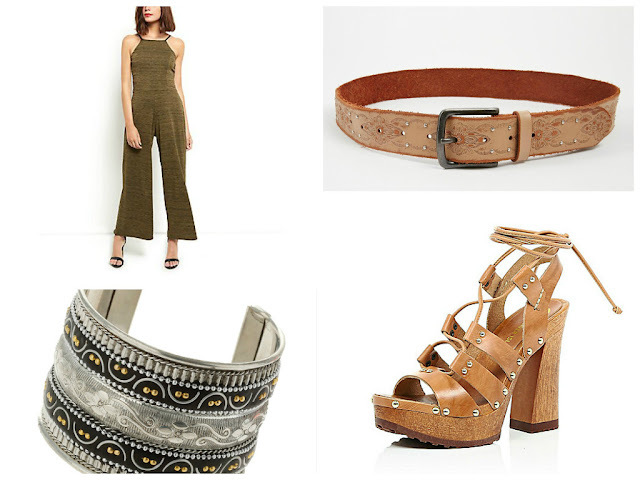 I hope you enjoyed this post, do you like 70s fashion? Which of these outfits did you like? Haha I feel you, I just don't see why you should commit to one style! I love all the fringe too, thank you my gorgeous friend hope you are having a great week too!